We offer an extensive range of services that are tailored around each client’s individual requirements, ensuring they get the service that best suits them. Based in Chatham, Kent, we offer over 30 years of experience in supplying building and refurbishment services for commercial and domestic properties throughout Medway and Kent. We specialise in all areas of internal and external building with services ranging from garage and loft conversions to hard landscaping and decking. No project is too big and each client’s requirements are unique meaning we offer a fully bespoke service for all our clients; we tailor everything around you. Our team have over 30 years’ experience in the industry and are all fully qualified in all areas of building. When we provide a service, we provide the full package. If you require an extension, we will plan and then build the extensions and depending on what you would like to turn the room into, we will even fit plumbing, heating and electrical systems for you. Give us a call today on 01634 615282 and speak to our friendly team. They will be on hand to go through any requirements you have and provide you with any information you may need on our services. We will even arrange a FREE, no obligation survey and quotation at your convenience. We are experts in domestic and commercial building and work throughout Kent and the surrounding areas. Covering all areas of building and refurbishment services, we ensure that no matter whether it is an extension or a kitchen refurbishment you are looking for; we have a solution. No project is ever the same as each client requires something different. This is why we offer a bespoke package that is tailored around your individual requirements. 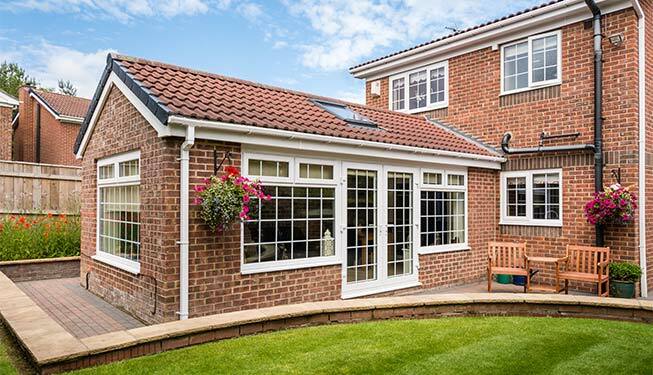 With services ranging from patio and decking installations to garage conversions and kitchen refurbishments; we ensure we have you covered, no matter the requirements. We ensure the project is completely managed throughout the initial sale to the final installation or refurbishment/renovation. The right people will always be supplied for the job and with the project split in stages, you will see what you are getting for your money. Our services have reached clients throughout the South East with a majority of them being supplied to clients in Kent. We have supplied building services to clients throughout a variety of areas, encompassing Chatham, Rochester, Rainham, Gravesend, Dartford, Ashford, Maidstone, Faversham, Sittingbourne, Aylesford, Tonbridge, Sevenoaks, Tunbridge Wells, Folkestone, Canterbury and Sheerness. Contact us today to speak with the building experts here at Kent Builders Group. We offer clients a complete bespoke package. Each service is tailored around each client’s individual requirements and we offer a complete, cost effective solution. At the Kent building group, we asure your well being and financial security by fronting the first interval payment then there after arranging stage payments so you only pay for what has already been done. We also have a £1m public liability, to cover the costs of any damage or claims.